MTCG is the same as TCG except the flat ground tooth is lightly champhered on both top edges for longer life. 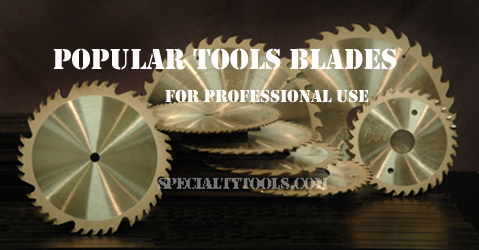 Designed for cutting Corian, Avonite, Fountainhead, Surell, and similar materials. Our special sub-micron carbide will outlast any conventional carbide, delivering a much better cut over a longer life. TCG - Triple Chip Grind. Alternating triple-edge and flat top for dual action cutting. Triple-edge teeth chip down the center of the kerf, flat top raker teeth follow to clean out the material from both sides, extremly resistant to wear and fracture when cutting hard or abrasive material.